The wedding reception really is incomplete without someone making the wedding speech. 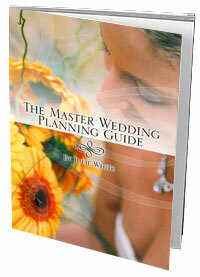 The bride and groom can choose anyone for this honor; it could be a friend or a family member. So if you are close to the bride or groom or both then be prepared you could be on their hit list. So the mystery is revealed and indeed it is you who has to deliver the wedding speech in front of a huge crowd of friends, family members and friends of friends. Don’t be nervous because the whole purpose of this article is to give you pointers on how to write up and deliver a really good speech. So first off, when writing a speech, the individual always faces difficulty writing the first addressing line. If you are also facing the same problem then either leave it out for a while and fill it up later when the main context is done or take help from a pro who has delivered wedding speeches in his past. The bulk of your speech can be focused on an event that happened in the past which includes, you and your friend – the bride or the groom or both. Always remember that whatever moment in history you want to talk about, it should be a pleasant memory and not something that makes everyone upset or sad. You can build up your speech around that even saying how one particular good aspect of your friend’s personality shone that day in front of you. Another key thing to remember is that, no matter how much funny the past situation was, do not bring the name or topic of your friend’s (the bride or groom) ex’s. Sure your friend’s partner might have the knowledge of all of the ex’s but this is certainly not the place or time to start discussing them. Now that your speech is done, you should start practicing the elocution. Sure you are not entering a speech competition, but if this is your first time speaking at a wedding, then believe me, you do need to do the rehearsal. The preparation is going to make you confident about how you are going to speak in front of all those people; you will be well prepared for all the pauses for the laughs of people. Don’t forget to raise a toast in the end of the speech as that is the main culminating point of the address. Also, when you are about to stand up for your speech, you should pick a time when there is no major event going on in between. For example, don’t start it right when a kid has dropped a piece of crockery and the waiter is busy clearing it up. Thank you for your resource! I really like what you’re providing here. Wonderful goods from you, man. I’ve understand your stuff previous to and you’re just too excellent. I really like what you’ve acquired here, really like what you’re saying and the way in which you say it. You make it enjoyable and you still care for to keep it wise. I can not wait to read far more from you. This is actually a terrific web site. Excellent website. Lots of helpful info here. Iˇm sending it to some buddies ans also sharing in delicious. And certainly, thanks to your sweat!